We recently arranged a girls weekend for Claire Wilton and six friends in Champagne. Upon arrival in Reims, they checked into the 4* Hotel de la Paix and spent the remainder of the day and evening relaxing at the hotel and exploring the city’s excellent range of shops and boutiques. In the evening, we recommended a restaurant to them and reserved them a table for dinner. On Saturday, the girls weekend group were met by a luxury chauffeured mini-coach, which accompanied them on a full day tour. 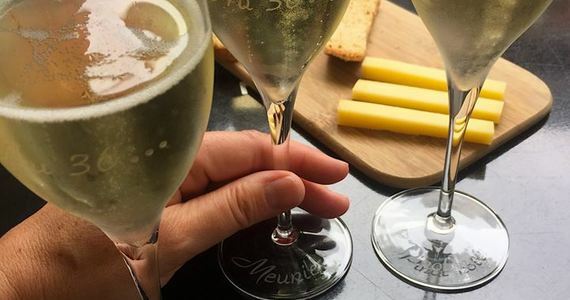 During the course of the day, they were welcomed as the guests of two boutique producers of Champagne, where they met the maker of the Champagne and saw first-hand the fascinating process from vine to bottle. At the second estate, they each learnt the Napoleonic art of Sabrage and as they had each opened a bottle, they needed to drink at least some of the Champagnes before heading off. 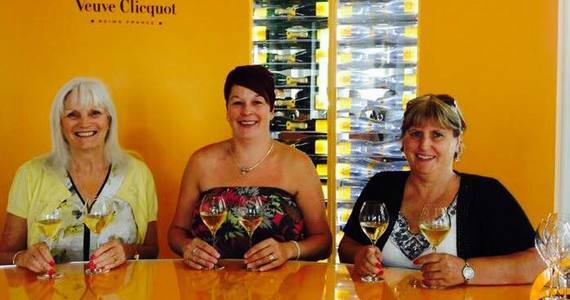 Their day ended in true style with a tour at the prestigious Champagne Veuve Clicquot. 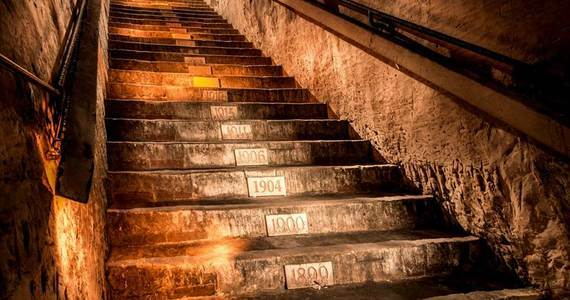 They firstly walked through the museum which is dedicated to the work of Madame Clicquot and a full tour of the estate, which was built over the historic chalk crayeres extracted by the Romans ensued. Their visit ended with a tasting of la Grande Dame, Veuve Clicquot’s Prestige Cuvée. After returning to the hotel to freshen up, the girls enjoyed a gourmet four course dinner before enjoying a few more glasses of Champagne in the many bars and clubs in the city centre. The whole trip was very well organised and we didn't have to worry about a thing. The staff at the Champagne House were all very friendly and Sabrage is a fantastic that I would highly recommend. A guide price for this trip is £235 to £365 per person based on accommodation in twin rooms and includes 2 nights’ accommodation with breakfast in a 4* hotel, a luxury chauffeured mini-coach for the day, tours and tastings at 3 Champagne Houses, Sabrage and 1 dinner with drinks. All of our group tours are completely tailor-made to suit your specific requirements. Please feel free to give us a call on +44 (0) 1920 46 86 66 or e-mail info@grapeescapes.net to discuss your perfect trip. Use our online tour finder to browse our wine tours. What to buy for the wine lover who has everything? We offer a variety of gift options, and vouchers are valid for two years.